(MISSISSAUGA) — Subaru Canada, Inc. (SCI) is pleased to announce that the 2018 Impreza will be available in showrooms across Canada this autumn. 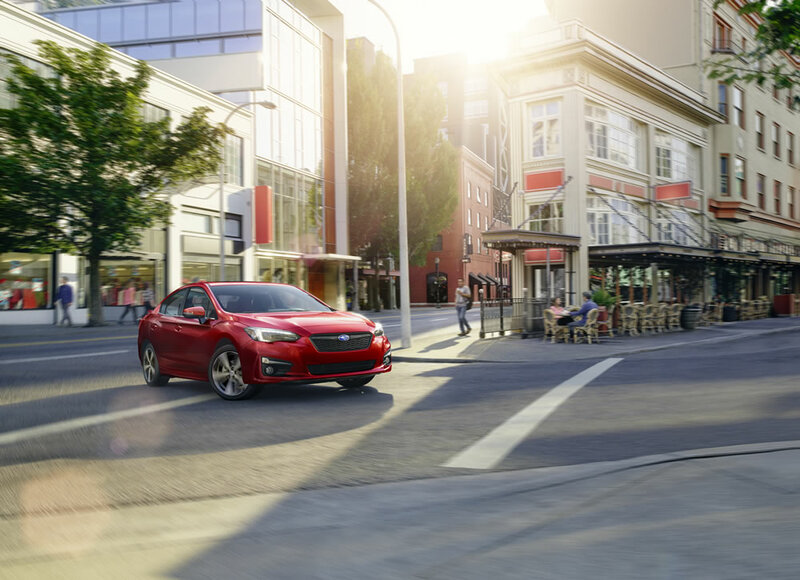 The 2018 Impreza continues with the passive, active and preventative safety systems that enabled it to receive the highest possible safety rating from the Insurance Institute for Highway Safety (IIHS) with its designation of Top Safety Pick+. In fact, the Impreza is the very first vehicle in the Small Car category to achieve the highest possible ratings in all of the IIHS tests. Available in sedan and 5-door styles, the 2018 Impreza uses the new Subaru Gobal Platform to tie together the performance, dependability and safety features that have become synonymous with the Subaru brand. The FB 2.0-litre 4-cylinder SUBARU BOXER engine with direct fuel injection integrates perfectly with either the 5-speed manual transmission or the optional Lineartronic CVT transmission with available 7-speed manual mode function and paddle shifters. The standard features of Vehicle Dynamics Control and symmetrical full-time All-Wheel Drive ensure driving confidence, while the excellent torsional rigidity and top grade suspension systems offer superb ride comfort with minimal noise, vibration and harshness. In addition to Subaru’s legendary symmetrical full-time All-Wheel Drive, all trims come equipped with standard air conditioning, cruise control, LED tail lights, next-gen infotainment software including standard Apple CarPlay and Android Auto for convenient access to apps available for in-car use. On the Sport and Sport-tech trims, the list of standard features includes a power driver’s seat, LED steering responsive headlights, LED daytime running lights, a power glass sunroof, and Subaru Rear/Side Vehicle Detection, with blind spot detection, lane change assist and rear cross-traffic alert. Unique to the Canadian-exclusive Sport-tech trim is sport suspension tuning, active torque vectoring, a heated steering wheel, dual-zone automatic climate control, 8-inch Harman Kardon infotainment system with GPS navigation and eight premium speakers. The optional EyeSight Package (available on the Sport and Sport-tech trims) includes the EyeSight suite of active safety features, as well as high beam assist, rear proximity warning with reverse automatic braking and proximity key with push-button start.